With so much confusion in the last few days, predicting what may result might be risky, but when has that stopped us. In all the action, the world will appear to latch on to what will be played as the only event that mattered, the reconciliation. The Arab League will quietly push once again the Saudi Initiative with a twist; the return of the Palestinian refugees will become something to be decided subsequently. This will remove the Israeli protestation that these five to eight million refugees, some will be Syria, Afghan, Sudanese and any other Arab refugee in the world, be returned into Israel thus erasing the Jewish State. Despite this being the desire all along, to sell the idea of Israel as the United States style multicultural nation in the Middle East, a leftist paradise, they will settle for a restart of the basic borders from before the Six Day War. 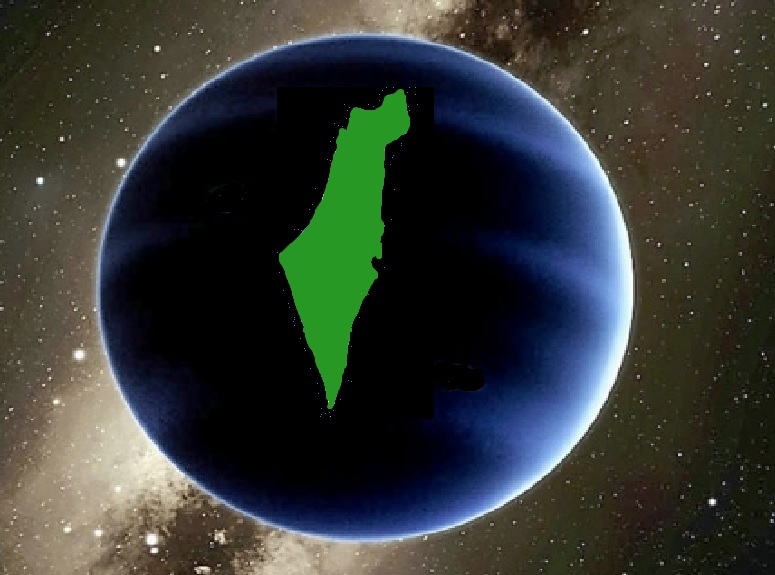 The Arab League will have their European contacts all set buzzing about the opportunity here now that Gaza has been remarried to Judea and Samaria; they will use the terminology of “West Bank” which was started by Jordan to erase any Jewish connection from history. They are constantly trying to erase that embarrassing little fact, history. Now the Palestinian State has been reunited with the reconciliation of Fatah and Hamas, now is the time to force Israel to accept this fact. The Saudi Royal Family will contact their longtime friend and business partner, the former CEO of ExxonMobil and now Secretary of State, Rex Tillerson, and sell him this marvelous plan which he has to brief President Trump that this is that magic moment where he can press the big deal. Then it all pivots on whether President Trump can make the deal sound plausible to Prime Minister Netanyahu who also desires his Nobel Prize and the acclaim of making that big deal. What both men will also know is they are walking into another Oslo styled trap, but the question is can either of them resist when the temptation and potential rewards are so great? The deal of a lifetime will end up that Israel will be permitted to retain selected cities and towns from Area C and the Palestinian Arabs will get their Capital located in East Jerusalem but only that small area will actually be theirs along with a corridor leading to their compound. There will be no checkpoints along the safe corridor, as it will be acting like a diplomatic corridor which must remain unhindered. Other than this, the Palestinians will turn over weapons and in return receive the pre-Six Day War borders with some minor alterations in the form of one-for-one land swaps. The main selling point will be that Saudi Arabia and Egypt will guarantee that the Palestinian entity will behave itself and they will provide the enforcement oversite which will prevent any terrorism. There will also be the recognition of Israel by the Saudis and their Gulf Cooperation Council members, the GCC Gulf States. This recognition will be granted over the next year as the plans are finalized. The catch is step one has to be initiated immediately before the moment is lost, and that is where the European Union and United Nations General Assembly come into the picture. Both the European Union and the United Nations General Assembly will put forth their recognition of the new Arab State of Palestine accepting the new formula for its borders. The General Assembly recognition will be passed on to the Security Council where everybody will be buzzing with excitement about finally solving the unsolvable. This will add to the pressure on President Trump to simply agree and present this as an accomplished fact to Prime Minister Netanyahu requesting that he just give peace a chance. President Trump will tell Prime Minister Netanyahu how he realizes the risks and that the United States will stand by Israel and insist on placing peacekeeping troops along the border and inside the new state of Palestine to enforce the disarmament. Israel will refuse the peacekeepers along the border preferring to protect their own border but will be tempted to have the United States assisting the Saudis and Egyptians in the weapons collection and disarmament. Iran, meanwhile, will remain remarkably silent about the entire effort hoping not to spoil anything and if they do react, it will be to criticize the Saudis for overstepping their authority and working so closely with the Great Satan and giving the Little Satan too much. This rejecting of the deal will actually be intended to sell the deal, as the more it upsets Iran, the more it will appeal to President Trump. The American Jews will love the plan, at least J-Street, Jewish Voice for Peace, New Israel Fund and numerous other leftist Jewish NGO’s, many which receive funding from institutions funneling George Soros’s millions. The one big voice supporting the deal will be pretty much unexpected, the Center for Jewish History with their new CEO, David N. Myers. The main reason that Mr. Meyers may have been placed in this position was this reconciliation and the ensuing peace initiative may have been in the works for a while now and the push required an unimpeachable backer which could not be said to be anti-Israel. Mr. Meyers has a history which can be traced and has been revealed by Ronn Torossian which he spelled out in three main articles from the recent past since he was appointed CEO of Center for Jewish History demanding his removal. These articles were titled, “Center For Jewish History new CEO holds radical left viewpoints,” “The Center for Jewish History CEO and Jewish Voices for Peace” and “Center for Jewish History Hosting Jewish Voices for Peace Events” with a follow-up article titled “The Center for Jewish History saga: Good, but not good enough.” These spell and repeat the implications that Mr. Meyers choice for the new CEO of Center for Jewish History was a political plant placed there to allow using the good and reputable name of the institution for reasons of undermining Israel. That it may have all been another piece to the reconciliation plot to force pre-Six Day War styled borders on Israel for some future replay of the Six Day War which the Arab forces still have not accepted their loss. 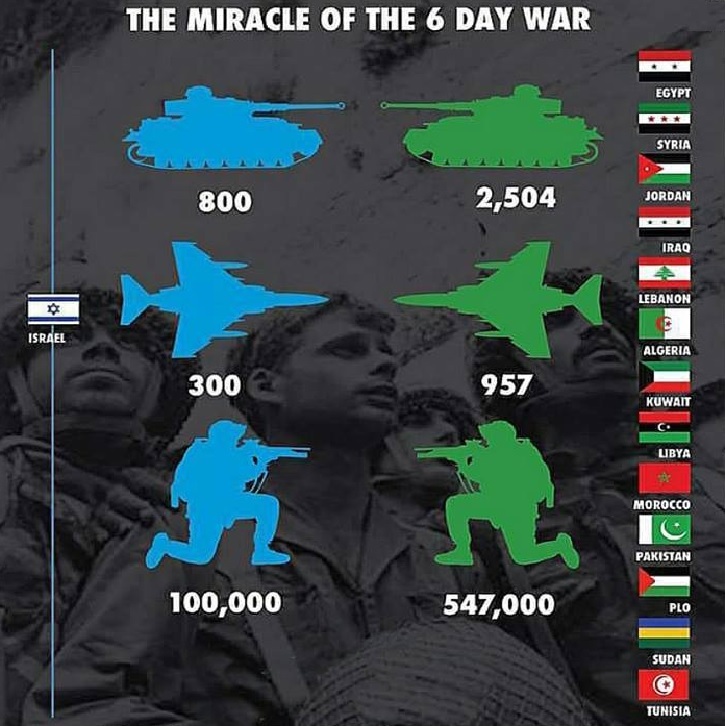 Please allow us to once again post the basics of the odds of the Six Day War and why it was considered to be impossible for Israel to be the victor in the image below. The only reason Israel stood any hope was once the Straight of Tiran were closed off by Egypt, that was the casus belli placing Egypt in a declared state of war against Israel with Egypt as the aggressing nation. That allowed Israel to make the next move which they used to destroy the vast majority of the Egyptian Air Force on the ground in a sweeping initial strike. The Israelis had sufficiently good intelligence that they largely left the decoy aircraft on the tarmac unhindered and simple took aim at the actual aircraft. Israel soon removed the remainder of Egyptian airpower from the air allowing them to sweep across the Sinai Peninsula. 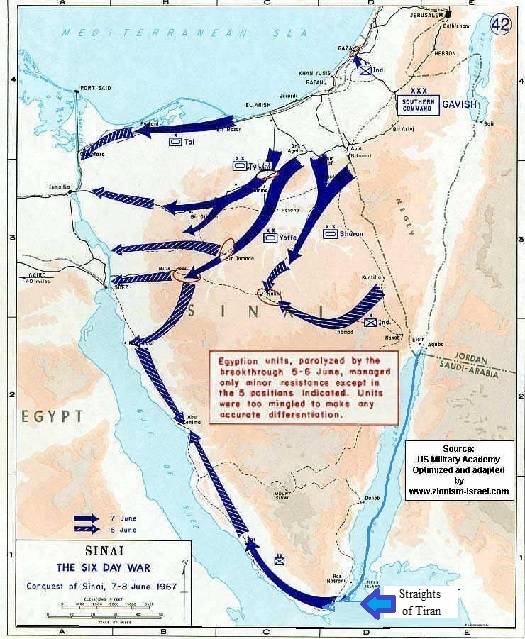 The sweep across the Sinai Peninsula was the identical plan to the one used in the 1956 Suez Crisis War (Battle Plan Pictured Below) where Israel took the Sinai Peninsula but as soon as Egyptian President Gamal Abdel Nasser relented before the French or British also moved on Egypt, the United Nations backed by strong arm tactics by both the Soviet Union and United States with assists from Israeli presumed allies of Britain and France, insisted Israel return the hard won lands. 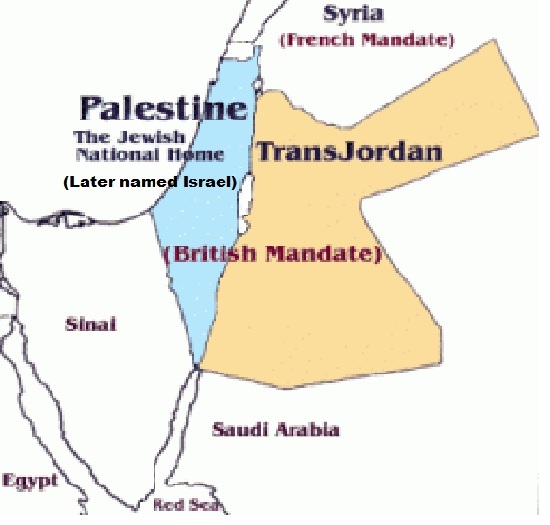 The reason that Israel was permitted her attack in 1956 was identical to 1967, the closure of the Straights of Tiran. The Israeli Defense Forces (IDF) struck to open the Straights of Tiran with a rather daring amphibious assault destroying the Egyptian emplacements and the artillery and small number of ships they were using to implement their blockade. The IDF also used simultaneous assaults crossing the border using four main routes and six main thrusts. One used the northern route which cut off Gaza which was easily picked up subsequently, one swept from the south and headed westward then north while four swept across the center branching to take the Egyptian fortified positions at crucial passes in the central mountainous regions. All the units met with the amphibious assault along the Suez Canal taking control of the eastern side of the canal. The IDF also encircled the entirety of the Egyptian groups with many forced to surrender. By the end of the thrusts to the Suez Canal, the Israelis found they had more prisoners than they had plans to accommodate so they retained the officers and ranking NCOs ordering the remainder to cross the Suez Canal back to the Egyptian side. The border with Egypt was returned to before the Six Day War with Egypt except for the illegally occupied Gaza which Egypt surrendered to the Israelis along with any and all problems it would incur upon them. With huge pressures from United States President George W. Bush, Prime Minister Ariel Sharon surrendered all of Gaza to the Palestinian Authority (PA) in August of 2005. The PA subsequently lost Gaza to Hamas aided by Islamic Jihad in a June 2007 coup basically making Gaza a Hamas controlled terror enclave which also gave refuge to Islamic Jihad and numerous smaller groups some aligned with al-Qaeda and others with Islamic State as well as several criminal groups. This is the Gaza which has presumably reconciled with Fatah. This should be almost self-explanatory as to why this reconciliation should be raising doubts and suspicions but instead will be used to try and give the Arabs a reset virtually back to the pre-Six Day War borders, the 1949 Armistice Line, and what Abba Eban referred to as the “Auschwitz borders.” The one thing which President Trump will be permitted is a reprieve as the Arabs will do everything in their power to prevent as much violence as they are able while permitting sufficient terror attacks to keep Israel at a war standing, something Israel has lived with for the past hundred years going back to before there was a nation of Israel. One need only look up on the Internet about the 1929 Arab Pogrom, the 1933 and 1939 Arab Riots and other attacks all before there was even a state of Israel and long before there was any “occupied territories” so the occupation is not an honest cause of the violence, the refusal to accept the Jews presence is the underlying cause. But the Arabs will want to bring the Syria uprising to an end with Bashir al-Assad in power over a basic police state where much of the nation will be members of the Assad military. Assad will retain Russian military presence at the harbor towns where they berth the Russian Atlantic Fleet in the Mediterranean Sea. Even once Syria has been reconquered, potentially without their Kurdish areas which may request to be included as part of Kurdistan should the world allow such a nation. Just for the record and one more time, we here at BTC totally support the Kurdish needs for their own independent nations with its borders to include the Kurdish areas of Syria and Iraq at a minimum and additionally the Kurdish People living in Turkey and Iran must be permitted to relocate to the Kurdish State if they so choose. We would favor the Kurdish area of Iran most definitely to be added to Kurdistan and some measure of Turkish Kurdish lands be remitted to Kurdistan. The Kurds had been promised by the British their own lands, but due to oil concerns and the promises to the Hashemites, the Kurds were cheated of their homelands and as a consequence, they were divided into minority communities in four nations, Iran, Iraq, Syria and Turkey. They deserve their own homeland and the Hashemites being granted the majority of their lands which made the remainder impossibly divided sounds so close to the deal that almost prevented Israel from becoming a nation as well. With Syria back in the game, the Arabs still will not move on Israel until the United States has finally turned on Israel and is refusing to aid them in any meaningful way. We hear people screaming that this will never happen. We remember President Obama and know that a President Hillary Clinton would have signaled the end of the United States-Israeli alliance. We remember the vote taken at the Democrat National Convention in 2012 (video below) when they booed G0d and Jerusalem as the capital of Israel. The Arab world will wait for the Democrats to be in control of the White House and at least one-half of the Congress is not the entirety of Congress. They may not appreciate the complete control President Obama had initially with sixty Senators preventing the Republicans from blocking anything in the Senate and a large enough majority in the House of Representatives to shove any legislation through. These were the majorities which gave the United States Obamacare without a single Republican voting for the measures as legislation thus making them a purely Democrat law. The Arabs will wait impatiently until the conditions are perfect which will come with a sign. That sign will cone from Washington D.C. when the Congress approves their new Foreign Aid package and there are no military funding for Israel and no general supporting funds voted for Israel or a minimal amount which will prove inconsequential. The Arab League will get assurances through silent back channels that the United States will not support Israel at the United Nations, specifically in the Security Council. Then they will amass troops on the borders and close the Straights of Tiran. Some plans never change; after all, if it failed so well last time, why alter it in any way? There will be one large change; the Egyptian Air Force will have been restationed for war games in Libya or western Sudan placing them at a far longer distance for the Israeli Air Force to need to strike. The heart of the Egyptian Air Force, their most modern aircraft will be stowed away safe in Saudi Arabia. The Saudis will initially remain out of the fight though they will have provided much hardware such as planes and tanks for those nations involved, the Saudis would prefer not to lose troops and face anger at home. Syria will very probably request Russian air cover to protect their Air Force and troop positions along the Golan Heights, the first major target for the Syrian Army likely reinforced with IRGC and Hezballah, as Iran will most definitely desire to be a part of the end of the Zionist entity, the Little Satan. Turkey will also join this time around, as there is nothing which will prevent Turkish President Recep Tayyip Erdoğan from taking part in what the Arab world will honestly believe is their manifest destiny in defeating and destroying Israel. We have painted a picture where Israel, it would appear, has absolutely no chance. These forces from Iraq, Iran and beyond will be assisting with war games in the Palestinian areas of the West Bank while Egypt and other North African nations will be entertained in Gaza thus expanding the front lines reinforcing every position as well as possible. The question is from where will Israeli survivability arrive? Well, we have already ruled out the United States and this time even the American Jews will mostly not invest their money in saving Israel. Many American Jews will sadly not even notice the war in Israel except should they have relatives living in Israel, and even then it is questionable. There will be little cash flowing from the United States to Israel and far less from Europe. 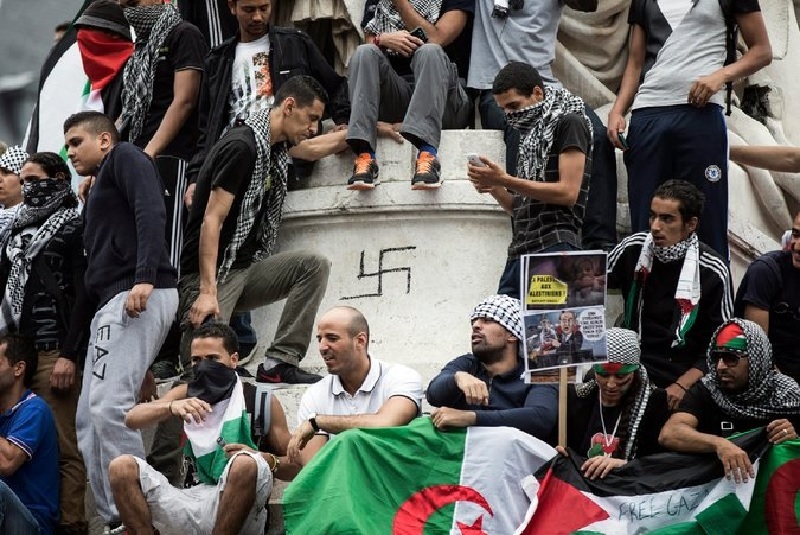 There is a possibility that in Europe the Jews will be rounded up and given the choice of Israel or conversion. The United States will be worse as American Jews will have their wealth stripped and they will potentially be deported to Israel unless they renounce their religion. This will be how the conservative religious Orthodoxy will be treated with many opting to join the approved “Open Orthodoxy,” which is not actually all that completely Orthodox. The New Judaism in the United States will, over time, become more of an odd marriage of Protestantism and Reform-Conservative Judaism. Reform Judaism is all but in this sort of category already. Many Reform Jews and far too many Conservative and Open (Modern) Orthodox have intermarried with Christians and are raising their children in both religions forming a kind of dual existence for these children. They light Hanukah lights and place them on a table near the Christmas tree and both holidays resultantly have between eight and twelve days with the first eight including gift giving. It matters little if Hanukah and Christmas actually overlap on the calendar, as the entirety from Thanksgiving to New Years has become one long escape from reality anyways. Easter and Passover, which are inextricably linked even in story and especially history to a great extent, as the Last Supper was actually a Seder Service and meal. This will become the point where Judaism will be decidedly to have died in the United States and much of the remainder of the world. Any Jews who at all identified with Israel will have been forced to decide and make Aliyah. So other than an increase in populations, Jewish population, there may also be another exodus by Arab Israelis fearing the worst. The question is where will Israel find the aid necessary to survive? Will they be able and be received well by China? Will they turn to India, which may be the world’s most populous nation by then. Perhaps South America or a combination which will include the many smaller nations which Israeli IDF specialist troops, medical, engineering, healthcare, search-rescue and other logistical support troops arrived and went to work assisting recovery efforts after an earthquake, hurricane, typhoon, volcano, tsunami or any other natural or man-made disaster. The nations Israel has assisted with medical aid or agricultural programs as well as fresh water electrical power, communications and a plethora of other specialties; could combine and make for an alliance unlike any preceding it in history. And then there is the final place Israel has always turned when her back was against the wall and things looked hopeless, Hashem, and then the miracles come. There was the Six Day War, Yom Kippur War and the 1948-9 War of Independence, which should have been named War for Survival, all of which resulted in some form of victory or, at the least, not total defeat. All the efforts and financial support for terrorism, propaganda, denunciations, BDS (boycott, divestment and sanctions), acts in the United Nations, the Human Rights Council, UNESCO (United Nations Educational, Scientific and Cultural Organization) attempts to write Israel out of existence refuting historical evidence over Jerusalem, the Temple Mount, the Tomb of the Patriarchs (Ma’arat HaMachpelah) in Hevron, and so many other organizations even to include too many Jewish organizations (listed above in this article) which have as their aim the destruction of Israel. Israel’s entire existence has been and remains a miracle from Hashem. The blessings of Heaven and from Hashem will give Israel and her people the necessary fortitude to survive. The result of the great wars to be brought against this final return of the Jewish People to their homelands was prophesized over a thousand years starting over three thousand years ago. Why the people of so many nations insist on testing the desires of Hashem will never cease to amaze the people who believe in the words of the Prophets and the will of their Divine Master, Hashem.